The Canada Mink Breeders Association organized their first lobby day on the Hill in Ottawa (Sep 24-25) to meet with Federal Parliamentarians. 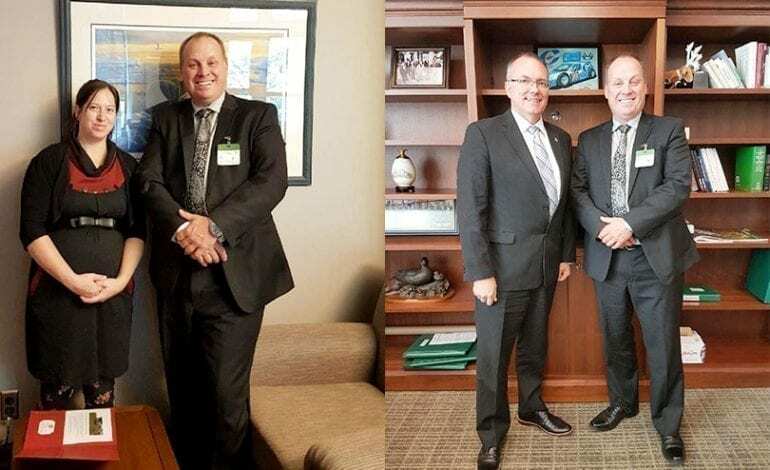 Serge Lariviere and Shirley D’Penha of the Fur Institute of Canada were invited to the lobby day to meet with french speaking MP’s Luc Berthold (Conservative) representing Mégantic—L’Érable and Christine Moore (NDP) representing Abitibi—Témiscamingue. A presentation prepared by CMBA was shared with both MP’s and key messages on behalf of the mink breeders were communicated to both MP’s. A cocktail reception was held in Centre Block on September 24th. During this time Catherine Moores, President of the CMBA made a short presentation. At regular intervals a fashion show was held by designers Rita and Rim from Maison Elma, Montreal.